Neon. 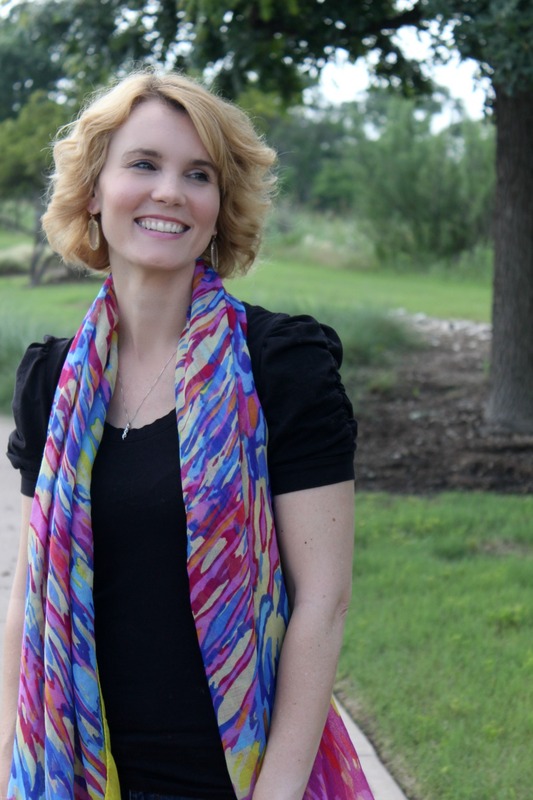 These bright colors can sometimes be intimidating and tricky when it comes to incorporating them into your wardrobe. But I’m here to show you, along with 8 other fashion bloggers, just how fun and easy it can be! 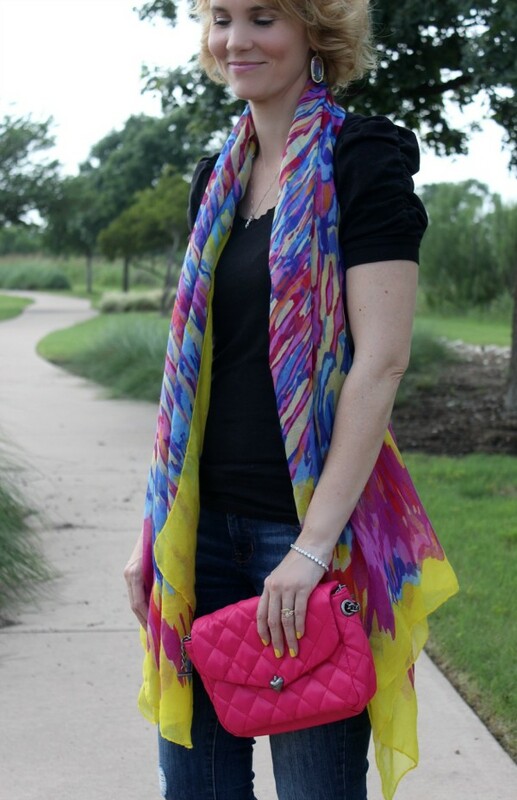 Adding that punch of color to your outfit can take something that’s meh and turn it into, well…fabulous. This outfit started with jeans and a black t-shirt. 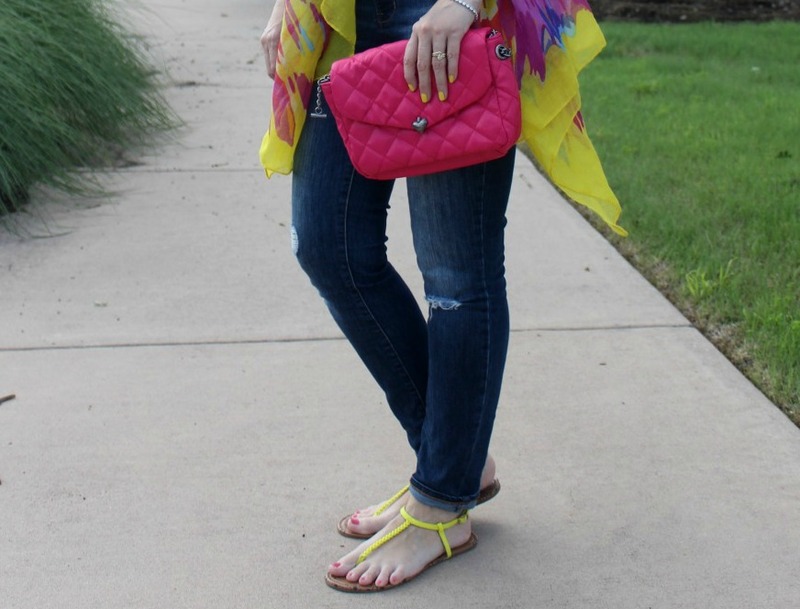 To add some color, I wore neon yellow sandals, a scarf with every color of the rainbow in it, a bright pink clutch and neon yellow nail polish. Now my black t-shirt and jeans outfit is stylish, colorful and it just makes me happy. It’s all about layering and adding in elements to your outfit that make you feel good. Start with a solid foundation, whether it’s an LBD or jeans and tee, and have some fun adding accessories. Would you like some other neon outfit ideas? 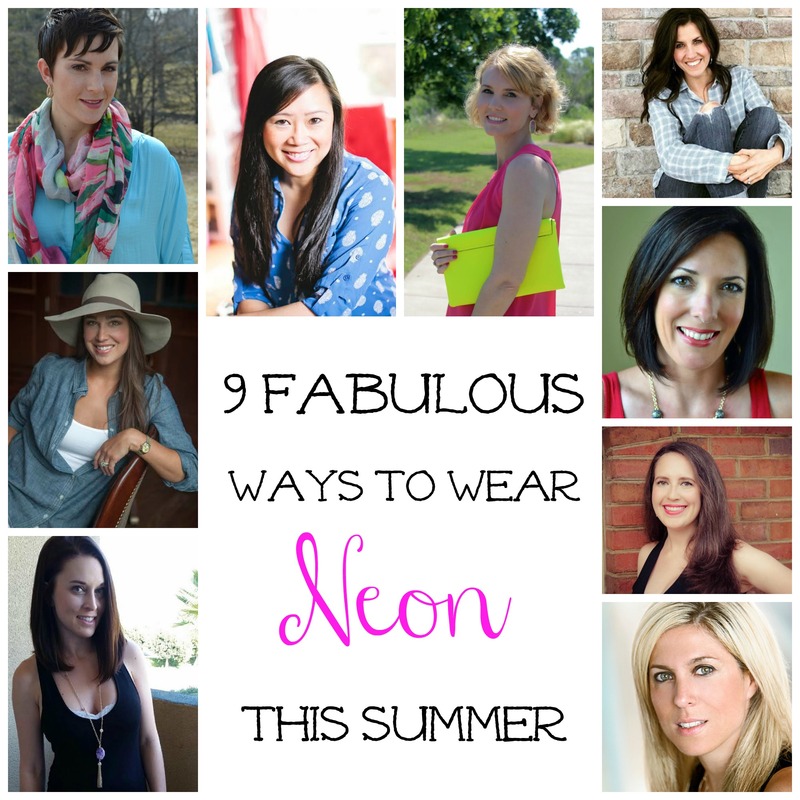 Here are 8 other fashion bloggers sharing their take on incorporating neon into your wardrobe. Love these ladies! LOVE!!! I want to get that scarf, too!!!! 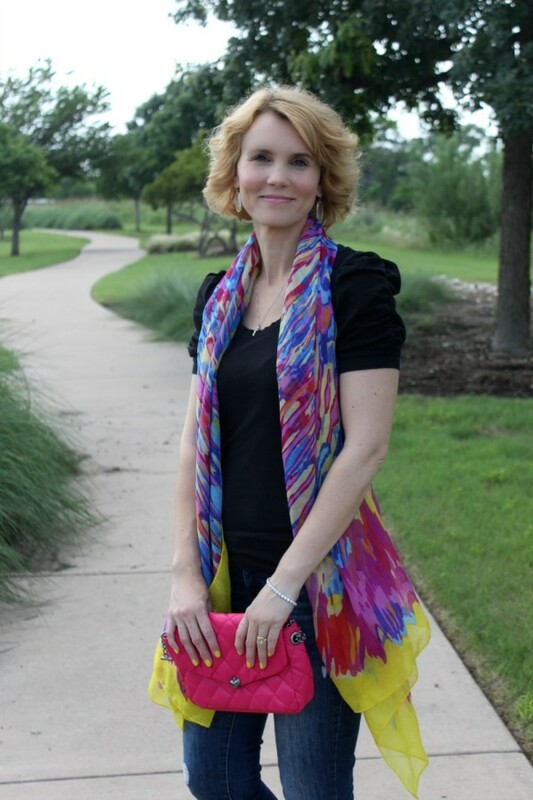 Love that scarf and super cute sandals! Gorgeous outfit. LOVE those sandals! Great way to incorporate neon without “trying too hard.” Beautiful look. Thanks :-). 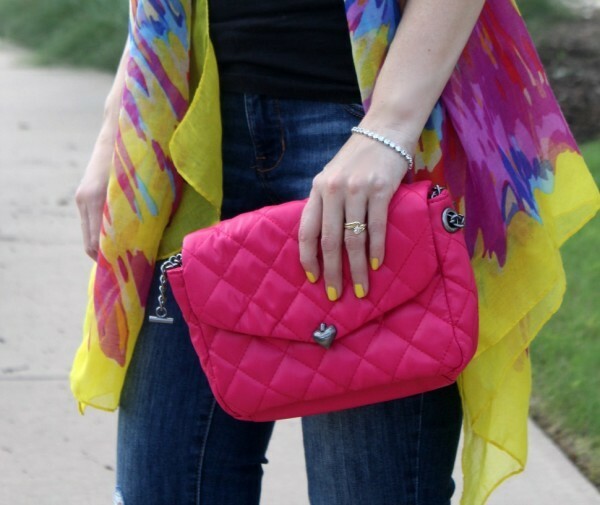 Super cute look and I love the yellow mani! I really love all these pops of color against the black top! You really look great!